He lives alone at 83, in a house with outdated carpets that looks like it could use the care of the wife he lost six years ago. He told me he had outdated ideas too, though I did not ask. Master Alastair, as he was called by the servants when he lived in Guyana (then British Guiana) as a boy, said he had seen what places looked like before and after independence. The implication seemed to be that the wreck postcolonial rulers had made of their countries had vindicated the empire. And when he opened up an album full of aged newspaper clippings about weddings and funerals, sepia testaments to love and death, he pointed to the will his grandfather left. His estate was worth about £12,000 (about Rs9.6 lakh now) in 1910. Not very much for a “wicked colonialist", Alastair concluded. He used that phrase repeatedly, archly, defensively, without my doing or saying anything to provoke it. I had not accused him of being a wicked colonialist. He just projected into the blanks of my visit what he figured must have been my sentiments. By virtue of who we are, who I am and who you are, he told me, it is inevitable that we should take a different view of things. 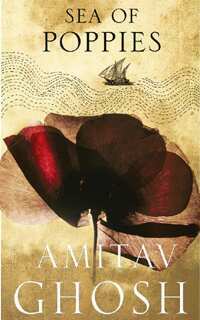 If the Ma Booker Prize had gone to Sea of Poppies by Ghosh, it would have been a bit of a joke played by history. The novel tells the story of “coolies" forced to leave India to cut cane on plantations much like the ones owned by the Bookers. Josiah Booker I, the Liverpool merchant who struck out to Demerara in 1815, not only helped provide Ghosh with a backdrop for his historical epic through his demand for near-slave labour, but posthumously provided the Kolkata-born writer with a £2,500 check for representing those near-slave labourers in prose. In a broader sense, the irony is not new. Since its inception 40 years ago, the Booker Prize has helped catapult many writers from the former outposts of empire: among them Salman Rushdie, Kiran Desai and, now, Aravind Adiga. And the company’s planter past has risen from its coffin before, when John Berger gave part of his prize money to the Black Panthers to protest Booker’s connections to West Indian sugar. This, however, was the first time the committee came so close to awarding the prize to a book about the very people on whose backs its endowment was originally earned. Would it have counted as a form of literary reparations, intended or not, if Ghosh had won? There really isn’t a way to make up for wrongs on that scale. History is, after all, history. It’s too late to take it back. But in a post-imperialist age there is still the awkward sense that something should be said to make amends. That’s what Frank Alastair Mackey felt in my presence. His father ran Bookers, and so did his grandfather. In fact, his grandfather—Alexander Price Plantagenet Mackey—managed all of the company’s plantations, including the one my great-grandmother worked on. She sailed from Kolkata as a coolie—or indentured servant—in the summer of 1903 and gave birth during her own middle passage. When she landed, immigration agents sent her to Enmore, a Booker estate not far from the Demerara River. She served out her five years of indenture there and on another Booker plantation. Her infant son, my grandfather, spent his early years on that land. Frank Mackey met me at the train station at Loughborough. He had brought along his daughter, who later told me to “hold his hand". My phone call had disturbed him, she said. He left Guyana to go to boarding school in England when he was seven, a fact that connected us. I left the country when I was about seven too—though half a century later, by when the country had become the People’s Cooperative Republic of Guyana. But there was still that other, conflicted intimacy to contend with—that umbilical cord through time that connected our relationship to the one existing between his grandfather and mine, with all its asymmetries. Mackey wanted to make the difference between our ancestors less stark. He showed me a legal agreement between Alexander P.P. Mackey and George Booker. The son of an Irish captain from Belfast, the former was sent out to Guyana as an apprentice, contractually bound for three years to Booker, and rose from clerk to become managing director of the company’s Guyana operations. I nodded, but thought, “There is indenture, and then there is indenture. If you succeed slaves in the fields, it’s different." As I took digital images of the contract, and a picture of an elegantly dressed Alexander Mackey on a lawn at somebody’s wedding in Guiana, he hung close, willing but nervous, confessing to some paranoia about me and my intentions. I wanted to reassure this old man who had lost his wife and needed his daughter by his side, who had opened up his family archives to me. But I didn’t want to tell him that it was all okay, either. I didn’t want to relieve him of the burdens of history. That wouldn’t be right. Nor would it be right to blame him for his father, for his grandfather, for the Bookers, for the imperial project. “I just want to tell the story," I said. “I don’t want to judge it. And yes, you are who you are, and I am who I am. Neither of us had a choice in it." When he drove me back to the train station, Mackey said he was delighted that I had come. I never thought you would, he told me. I thought you’d see how much it would cost, and how long it would take, and conclude it wasn’t worth your trouble. So he wrote me a letter. He handed it to me with instructions not to read it until I was on the train. In it, he wrote, “as small children, we take on the conditions and circumstances of the world in which we have been born. It is only much later we come to wonder, to question, to compare… If one is old enough to see the changes, it is extraordinary how much the things that are completely normal and accepted in one decade or society become utterly politically incorrect in another." Not exactly an apology. But some self-doubt. And clear wonder at the reversals of history that could well have resulted in a book about coolie canecutters winning a prize endowed by the heirs of the men who exploited them.